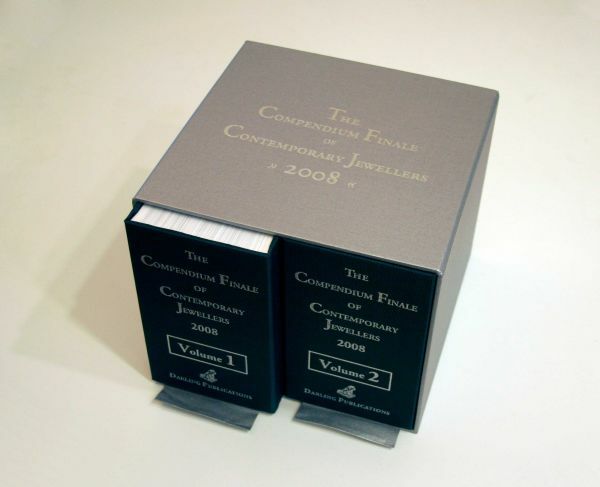 The Compendium Finale of Contemporary Jewellery (2008) is an enormous two volume publication, weighing in at 13.5 kilos and containing the work of 1000 jewellers. Conceived and published by Andy Lim (Darling Publications) the book was designed to reflect the field through the eyes of jewellers themselves; the participants were peer-nominated and allowed to design their own pages. I submitted a single image, to be split in two and printed back to back. This was intended as way to visually link my two pages without having to write my name twice. Read more about The Compendium.